I wish Hobart were a global age-friendly city, a city for all ages. It comes to no surprise that this was inspired by Alexandre Kalache’s talk recently. He held a public lecture at the Medical Precinct in the University of Tasmania on the 19th June 2015. There he spoke about the change in demographics on a global scale, the systemic impact of longevity, his home in Copacabana and the call for action to create more global age-friendly cities in the world. Retirement age in the 1970s was 60 years of age, and now it ranges from 60 to 67 years across the globe. Life expectancy in 1970 was an average of 71 years of age, and now it has risen to 82. In 2050, many first world countries will be seeing the average life expectancy climb to 90 years of age. We are enjoying longevity; we are also forced to retire for a longer length of time. In the 70s, it was approximately 11 years if one retired at 60, now perhaps 22 and in 2050, it will be a daunting 30 years. Retirement may not be a joy for everyone, and it carries with it a burden of ambiguous loss and grief that is not acknowledged by society. Many people see it as an entitlement or a luxury, but the excitement and bliss are short-lived. For most people in the middle socio-economic class, they will be an impact on their quality of life. They will come head to head with issues such as social exclusion, income insecurity, and negative perceptions of self-worth.. Looking at Tasmania, according to the Australian Bureau of Statistics, in 2014, 17% of the population of Tasmania were aged 65 and above. Revenue was generated mostly by natural resources, tourism, agriculture produce and the service industry. Tourists have been streaming into Tasmania, hitting a whopping 1.1 million and with them 2 billion in contributions. Tasmania boasts the “cleanest air in the world”, and in picturesque Hobart, you can dive into the city to try beautiful, fresh produce, fine Tassie wines, hand-crafted beers and an assiduous art scene that has captured the hearts of people world over. On one hand, we have an ageing population that requires the city and communities to be prepared for the shifting demographics, inter-generational solidarity and to benefit from an environment that supports “adding life to years”. On the other we have a growing influx of tourists, a booming service industry and an increasing call for exports. So why not make Hobart a sustainable global age-friendly city that can cater for one and all? A global age-friendly design is an inclusive design, as Bernard Issac had put it, “if you design for the old you include the young; if you design for the young, you exclude the old.” Currently, Clarence is the only city council in Tasmania that has attained an age-friendly status, which is evidence that this not an impossible feat. 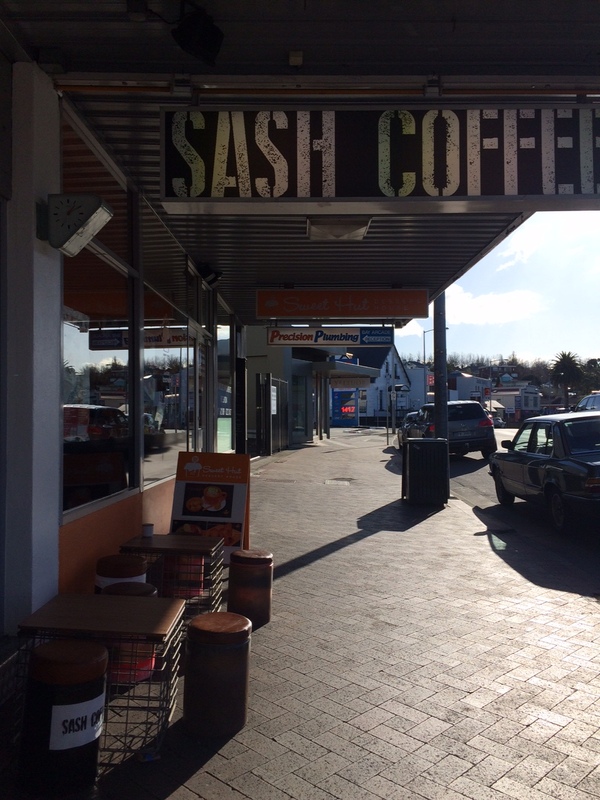 Just this morning in Sandy Bay, I chanced upon a new coffee shop, and like the old days, you get old fashion service. People who want to get to know you and not to get your name so that they could write it down on a takeaway cup. People that take the time to care and above all genuine down to earth service that is lost in many establishments in the monolithic cities. People who let you take the time to order your food, who will help you with any questions you have in a helpful and respectful manner. Signs are all simple and straightforward, communicating clear messages in the shop. There’s no rush, signs of impatience or a multitude of visual stimulus, which serve as a stressor and ultimately a negative experience. Sash coffee is a lovely place and only one place that I had chance upon this morning out of the many heartwarming businesses in the city. Hobart already offers some of the features of an age-friendly city. I hope more can be done to improve the city to not only create an inclusive environment for everyone living here but to attract others to this city to enjoy the beauties that Hobart has to offer. Until then, Hobart certainly has to do much more to pass the test to become a global age-friendly city.